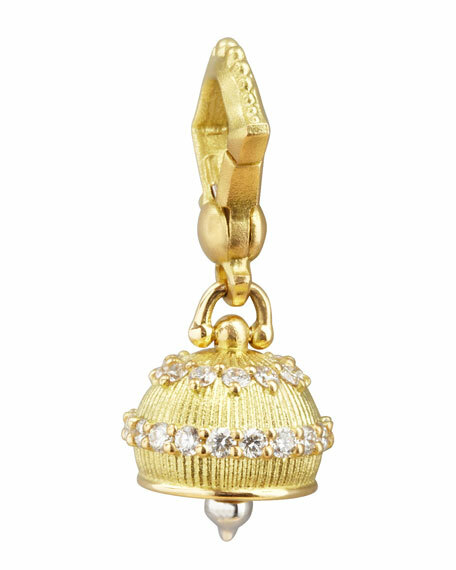 Designed and handcrafted under one roof in Philadelphia, this Paul Morelli pendant boasts a charming 18k gold bell. 18-karat yellow gold granulated meditation bell. White pave diamonds; 0.53 total diamond carat weight. Clapper creates soft metallic tinkle sound. 10mm at widest point of bell. Please note: Chain is sold separately.